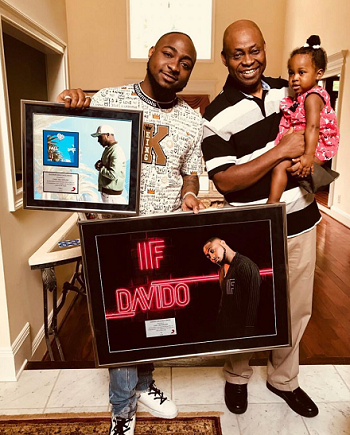 Davido took to Snapchat to share a photo of himself , second daughter,Hailey and Billionaire father Adedeji Adeleke while posing with his plagues for ‘Fall and IF which went platinum and Diamond . Beautiful three generation photo. » Did You Know Davido Named His 2nd Daughter After His Mum, Veronica? » Did You Know Davido Named His 2nd Daughter After His Late Mum, Veronica?